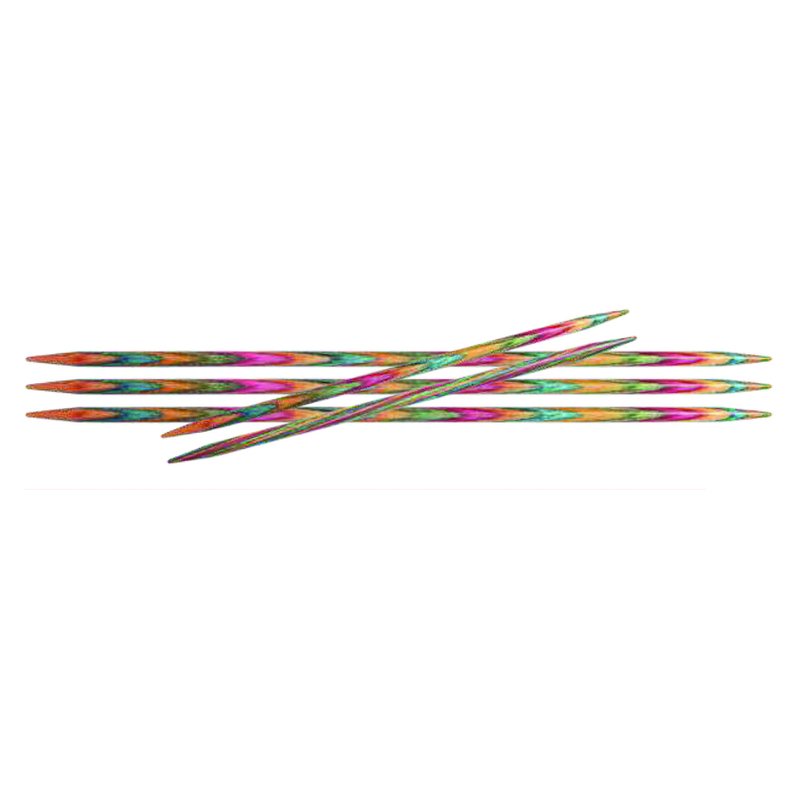 KnitPro's beautiful Symfonie wood DPNs, made from rainbow coloured Birchwood are adored by knitters the world over for their ease of use, comfort and beauty! The smooth surface of each needle gives perfect grip for the more slippery yarns,and the warmth and light weight of the wood is kind to hands. 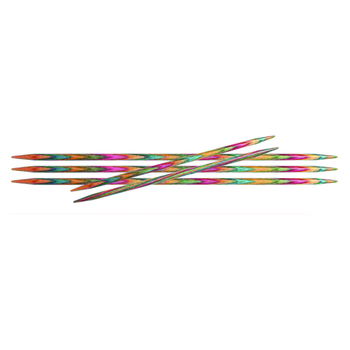 An extra sixth needle is supplied as standard in the smaller sizes (2.00-2.5 mm in the 10 cm and the 15 cm length) to in case of accidental breakage. 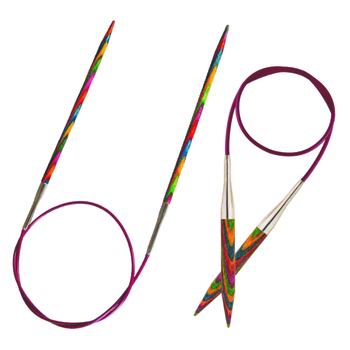 DPNs (Double Pointed Needles) are one of the best ways to knit small 'in the round' projects such as socks, the tops of hats, and the fingers of gloves. Some people are put off by using DPNs but they are in fact simple to use, and are great for projects you want to fold up into a bag and take with you wherever you go.